Distillers all over Scotland seem to have recently discovered old stock in their warehouses. Two distillers, Auchentoshan and Balblair, are in these days each releasing their own 1965 vintage malt. What is belived to be the world’s greates whisky collection is coming “home” to Scotland. 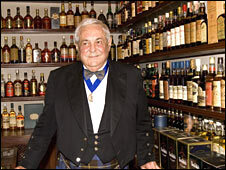 Brazilian Claive Vidiz has spent 36 years collection whisky, and has amassed a total of 3,384 bottles. But as he got older (now 73) he decided the collection had to go to someone who could take care of it, without splitting it up. After spending 8 years deliberating on the matter the result was that Diageo was to be on the receiving end of this massive collection. What Diageo has to fork over for the collection is undisclosed, but it’s belived it didn’t come cheap. Neither did the transportation back to Scotland, as fine arts experts traveled to Brazil to pack the collection for transport. A “vault” is now built at Edinburghs Scotch Whisky Experience (previously known as The Scotch Whisky Heritage Centre) to house the collection. The Glenmorangie Company announces it has signed a Heads of Terms agreement for the sale of the Glen Moray Distillery in Elgin and the Glen Moray single malt Scotch whisky brand with the independent French spirits company, La Martiniquaise. The sale of the Glen Moray Distillery represents an important part of The Glenmorangie Company’s re-organisation plans announced in July, which incorporate a major investment programme worth £45 million. The plans will see the Company focus on developing its highly successful, premium, international single malt Scotch whisky brands – Glenmorangie and Ardbeg – to meet the growing demand for single malt whisky in key and emerging markets such as Asia, Europe and the USA. The Glen Moray Distillery will be sold as a going concern. It is expected that all the existing employees will transfer to the new owners as part of the sale agreement. The deal is expected to formally complete before the end of October. La Martiniquaise is a major spirits group in France. The Company, which is headquartered near Paris, already has significant Scotch whisky operations at Bathgate, West Lothian where Glen Turner single malt and Label 5 blended Scotch whisky are bottled – both leading Scotch whisky brands in France. Glen Moray Distillery was originally built as a brewery in 1831 and was converted to a distillery in 1897. The Glenmorangie Company has owned the distillery since 1920. Glen Turner Distillery, a subsidiary of one of the biggest spirit producers on the French market (COFEPP/La Martiniquaise), are expandig into production. The site, which was set up in 2004, has until now been used to mature, blend and bottle whisky (Glen Turner, Label 5 and Sir Edwards for the French market. Yet another Scottish island has signed on to the ever increasing list over whisky producing isles. But unlike other plans like Blackwood (Shetlands) and Uisge Beatha nan Eilean (Barra) this distillery has started producing, without attracting much press or blurb on beforehand. A small notice in the Scotsman from June 2007 is all I could find. Abhainn Dearg (Red River) Distillery on the Isle of Lewis has recently started up production with a planned output of 10.000 litres per annum, with an increase to 25.000 litres in 2009-10. The site is a former salmon hatchery that has been converted into a distillery. The first spirit has already been put into casks and the first bottles will be available in 2011 when the National Mod will return to the Isle of Lewis. It’s local businessman Mark Tayburn, who also runs a recycling business on the island, that is behind the distillery. The distillery is to run on environmentally friendly lines, with a small hydroelectric scheme planned. I’ve thought of making a thing about Distillery of the Month (DotM), and with a new (for us) distillery making it’s way onto the Norwegian market, this is as good a time as any. First distillery out of the blocks is the Speyside distillery Tomintoul. I would suggest to keep your eyes on the website over the next few months – exciting times! A new edition of the peaty Speyside malt Ardmore is on it’s way. According to unnamed sources at Beam Global (via) a 30yo bottling will be out and about later til year, in time for the Christmas shopping season. Hopefully it’ll be reasonable priced (£100-£125 range) , unlike some of the 30 year olds on the market. When Laphroaig had their second ever webcast – Laphroaig Live – they revealed that some new editions where on their way. In addition some changes are being made to the core range of Laphroaig whiskies. 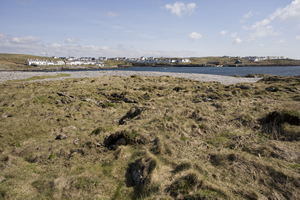 A small Island just off Portnahaven, Islay is up for sale. 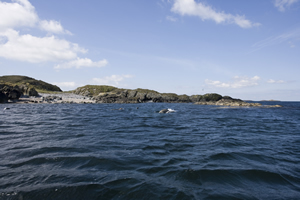 The island, Eilean Mhic Coinnich (Mackenzie Island) is on offer for bids over £100.000. 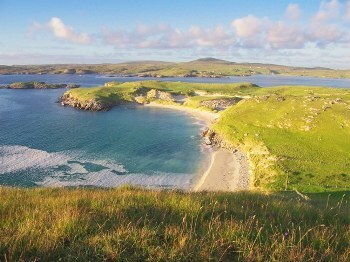 The 42,7 acre-island sits around 200 meters off the picturesque village of Pornahaven on Islays south-western coast (southern tip of the Rhinns of Islay peninsula). If you’re thinking about buying the island take note that it’s designated as a Site of Special Scientific Interest (SSSI) and Special Protection Area (SPA) – basicly you can’t really do anything with it. The current owner has used it to graze cattle. For further information about the island and ow to put forth a bid, go to the website of the selling agents CKD Galbraith of Glasgow.